Our 2013 High Tech Awardees were Assaf Kfoury, Douglas Densmore, Ramesh Jasti, and for developing commercial applications in Information Technology, Healthcare IT, and chemistry, respectively. Douglas Densmore, Assistant Professor in the Electrical and Computer Engineering Department , works on a high throughput, combinatorial, constraint-based DNA cloning software platform called Clotho. One approach in synthetic biology is a combinatorial exploration of biological “Part” composition directed by the satisfaction of constraints on performance and composition. Creating these designs in parallel with automated liquid handling robotics and introducing them into living systems automatically can be called “High Throughput Cloning” (HTC). The Clotho design software has been created for this process and has been demonstrated successfully as a proof-of-concept. This proposal will transition this proof-of-concept software into commercial grade software for multiple, unique, awaiting customers to launch a large-scale commercial enterprise. 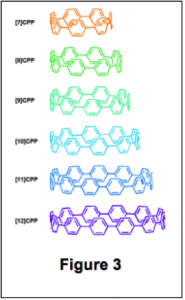 Ramesh Jasti, Assistant Professor in the Chemistry Department, has developed a novel method to synthesize cycloparaphenylenes (CPPs), which are nanostructures made of carbon. Porous carbon nanotubes have shown great promise as energy storage materials for high performance batteries and as ultracapacitors. In his research, Dr. Jasti has developed the synthesis of the smallest possible slice of a carbon nanotube – termed “carbon nanohoops.” These structures can be prepared with specific diameters and uniformity in high yield and low cost. 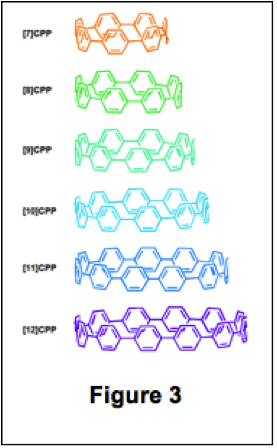 Interesting, the 6-CPPs self-assemble in the solid-state into nanotubular materials. This renders them ideal candidates for carbon-based energy storage materials. Carbon nanohoops have wide ranging applications, including hydrogen storage, CO2 sequestration, light emitting diodes, and nanofiltration. In this proposal, the investigators will develop a “flow” system for the continuous chemical synthesis of cycloparaphenylenes nanohoops. In addition, they propose to explore the effects that hoop diameter and crystallinity have on charge capacitance, discharge rate, and energy storage. Assaf Kfoury, Professor in the Computer Science Department, recently supervised the creation of PhD student Mark Reynold’s Software Inspection and Certification Service (SICS). The invention was part of Mark’s doctoral dissertation and he is currently a post-doctoral fellow in the Department of Computer Science. 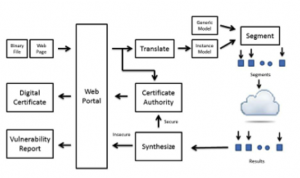 SICS is an entirely novel method for discovering malware in software applications and web pages. Malicious software on the Internet continues to be a pervasive and vexing problem. Among the most serious type of threats are the so-called “zero-day” exploits, so named because they have never been seen before. Antivirus (AV) and Intrusion Preventions Systems (IPS) do a very good job at recognizing known threats, but they do significantly worse when confronted with malware based on a zero-day. Zero-day exploits can hide for months or even years before they are detected, and account for billions of dollars in damage each year. 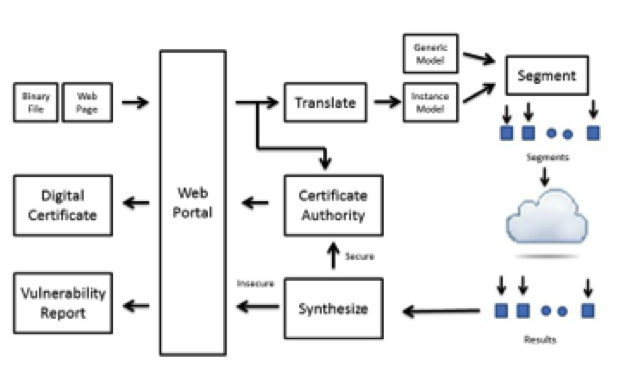 The SICS method is a completely new approach to address the threat of zero-day exploits. SICS has been demonstrated to do extremely well at detecting zero-days, to have a zero positive rate, and a false negative rate that can be tuned to be as small as desired. Funding from this grant will be used to extend the existing SICS implement (Java and Flash) to the Android platform, as well as building out the necessary infrastructure to support the service. The winners brought in a range of fantastic High tech innovations in Healthcare I.T., chemistry, and Information Technology. The funding granted this year will help these innovators reach their goals, and we eagerly await their success.